Newport Knolls community is located in the heart of Newport Beach, California. Newport Knolls condos typically range in the high $500,000 to mdi $600,000 range with the homeowners association having just completed a major renovation. Located in the Newport Heights area of Newport Beach, Newport Knolls community truly offers a lot of value for it's prime location and low real estate prices. Be prepared to spend an average $330 a month in homeowners association dues for this small community of 28 individual condos with a nice community pool, spa and clubhouse. The recent renovation covered the exterior paint, siding and and landscaping. Many enjoy the quick bike ride to the beach from this location and is considered one of the best values in Newport Beach based on the affordable price point and amenities. 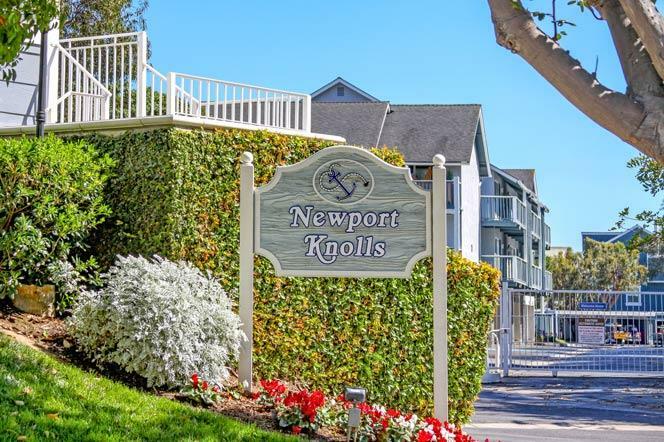 For more information about Newport Knolls condos for sale please contact us today at 949-444-1901. We specialize in the Newport Knolls community and Newport Beach Real Estate.